Would you like something where you can let off some steam while not interrupting your gym streak? Are there both sport lovers and haters in your group? 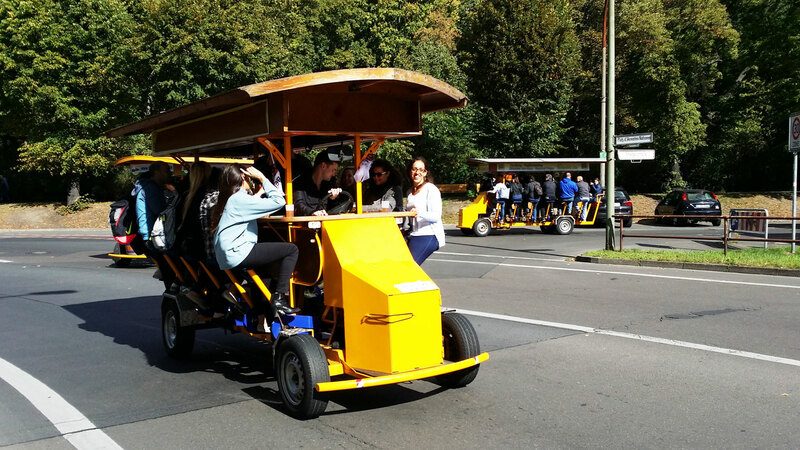 Do you want to have some fun while not missing the important sightseeing in the city? 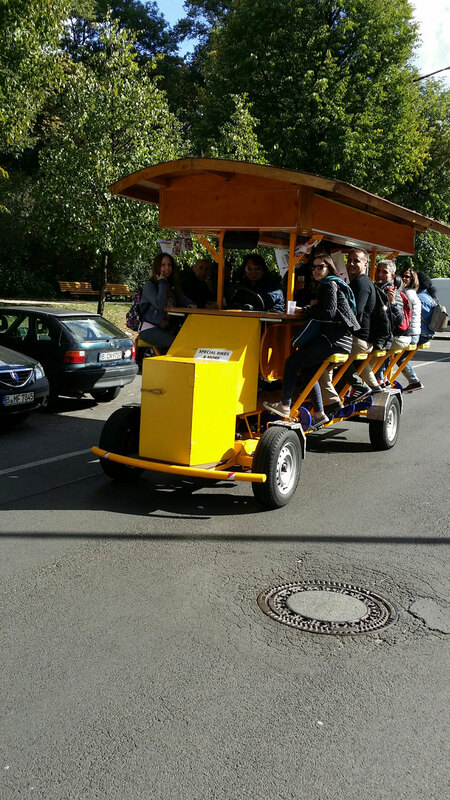 Then a 2 hours tour in a city centre on a sporty bike is the answer you have been looking for! Naturally, biking might be the way how to get all tired and sweaty from a sport, but that is not what anyone wants on a stag party. Therefore, the only source for your tiredness might be the 15L of beer per bike that you have to conquer! 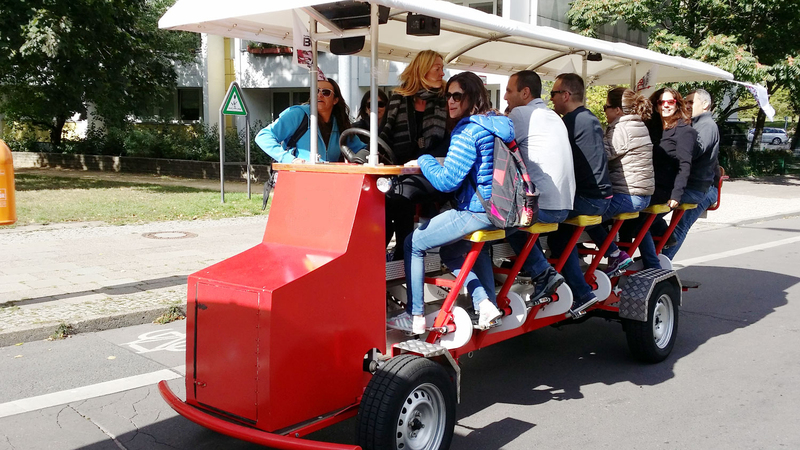 The minimal capacity for such a vehicle is 4 people while maximum amount of people goes up to 9 people. The math is obvious here, decide wisely about the number of you on one bike as there is a certain volume of beer being served. Cheers to the freaking weekend!